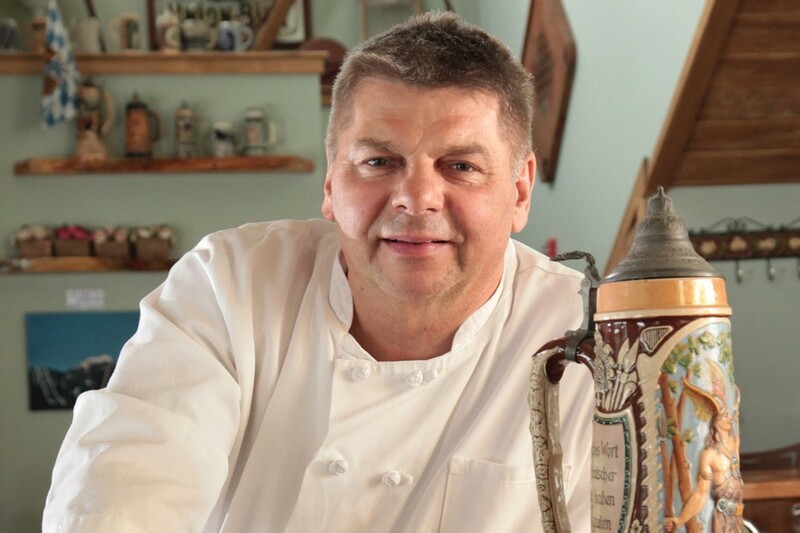 Fritz Halbedl's culinary skills have sailed to all corners of the world. Born and raised in Austria, the chef spent more than a decade overseeing the dining program for the Royal Caribbean International fleet. Now he's dropped anchor in landlocked Vermont, where he serves up European-inflected fare and tales of his globe-trotting adventures. Halbedl and his wife, Paula, bought a stately home on Derby Line's Main Street several years ago. It was a lot of house for one couple. After restoring the 1901 building to its former glory, they opened the five-room Derby Line Village Inn and lodge-style restaurant in March 2014. Paula welcomes guests with the trademark hospitality of her deep South heritage, while Fritz handles the kitchen. In winter, regulars often arrive by snowmobile; the inn lies a few hundred yards off a popular route. They come for an array of succulent housemade knockwurst and bratwurst, stuffed into skins that snap with every bite and bedded in mounds of lip-smacking house-fermented sauerkraut. Other northern European specialties include schnitzels — tender cuts of chicken, veal or pork lightly breaded and pan-fried, served with potatoes or vegetables — and platters of roasted meats. 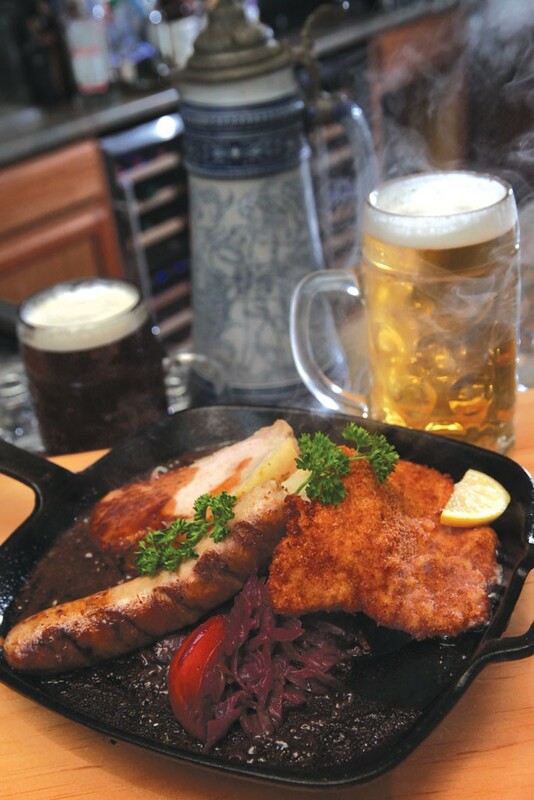 All are best enjoyed in true Austrian fashion, with one of the German-style lagers on tap, a number of which hail from Stowe's Trapp Lager Brewery. Careful, though: These easy-drinking quaffs come in big pours, up to 22 ounces. Additional entrées include steaks — New York strips dry-aged 21 days — fish and handmade pastas. Though the food skews meaty and eastern European, Halbedl's New England and Québec-style dishes are also worth a taste. Poutine — made with hand-cut fries and Vermont curds — comes commingled with sauerbraten or chicken schnitzel. Flatbreads, fresh from an artisanal oven, are long and narrow, crusty and chewy. Order one "hunter-style," topped with hearty hunks of venison sausage from nearby Hollandeer Farm, cranberries, arugula, and a blend of Asiago and mozzarella. But a world traveler like Halbedl knows when to stay true to his roots. He wisely does so for dessert, serving what is arguably Vermont's best strudel.